I had the pleasure of having Dr. Marina Yuabova work with me today. Not only is she super talented, she is an artist. I've been getting fillers and Botox. She helped guide me in the right direction and has a clear vision of what looks good/natural. I'm so pleased with the results. 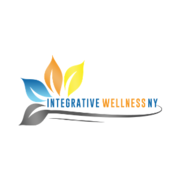 Highly recommend Integrative Wellness NY and Dr. Marina Yuabova ! We are certified Aesthetics and Integrative Medicine specialists in Brooklyn, NY. Our technologically advanced clinic specializes in the diagnosis and treatments of skin conditions, hormonal imbalances, adrenal fatigue, and thyroid dysfunction. We offer the most advanced aesthetic procedures in Brooklyn, NY and are highly specialized in dermal fillers, Botox, thread lift, sclerotherapy, micro needling, ozone injections, PRP and carboxytherapy. At our IV Vitamin Center in Brooklyn, we provide IV infusions for the hydration, detox, anti-aging and immune support. We utilize only the latest in advancements in Aesthetics and Integrative Medicine and provide highly personalized and comprehensive care. Come see our new cutting edge, state-of-the-art Aesthetics and Integrative Medicine clinic to receive astounding results using natural, holistic and minimally invasive treatments.